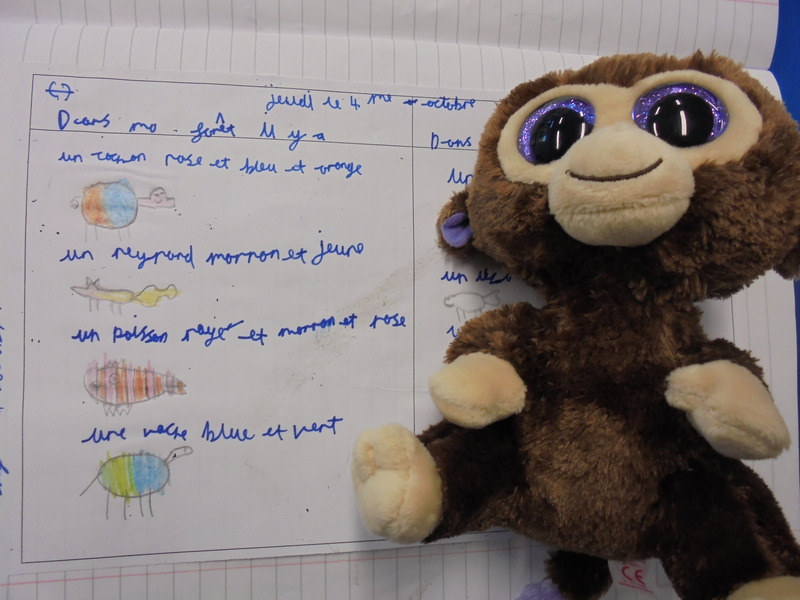 Have you met our class friend Miguel? 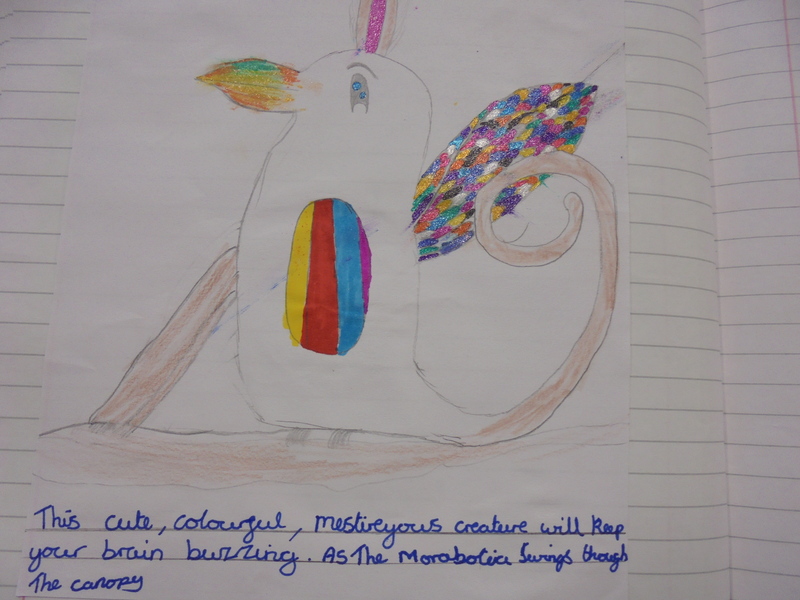 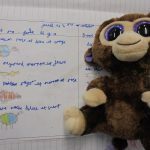 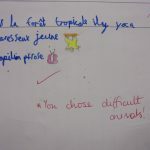 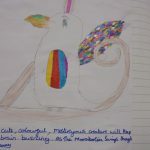 He represents the learning dimension MOTIVATION and we have been exercising plenty of it in Year 5. 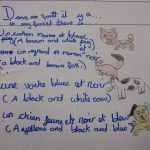 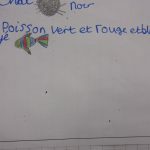 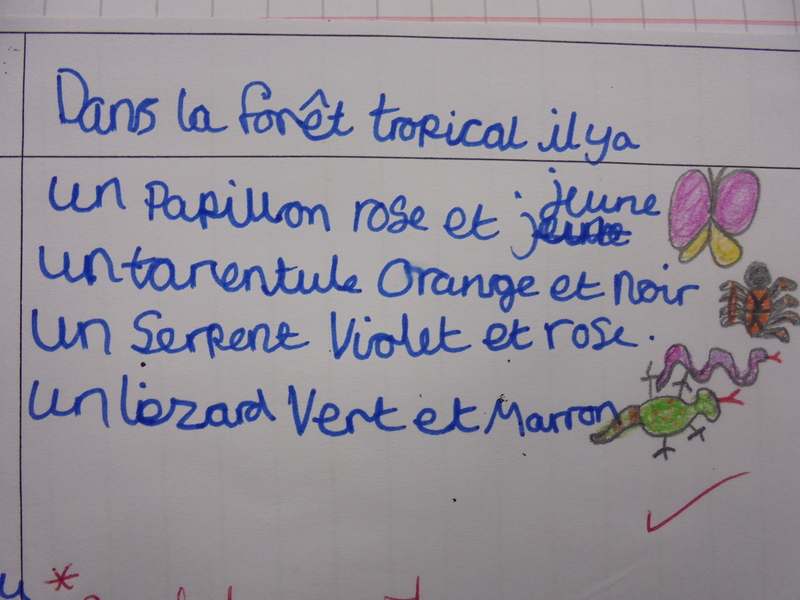 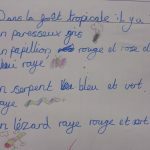 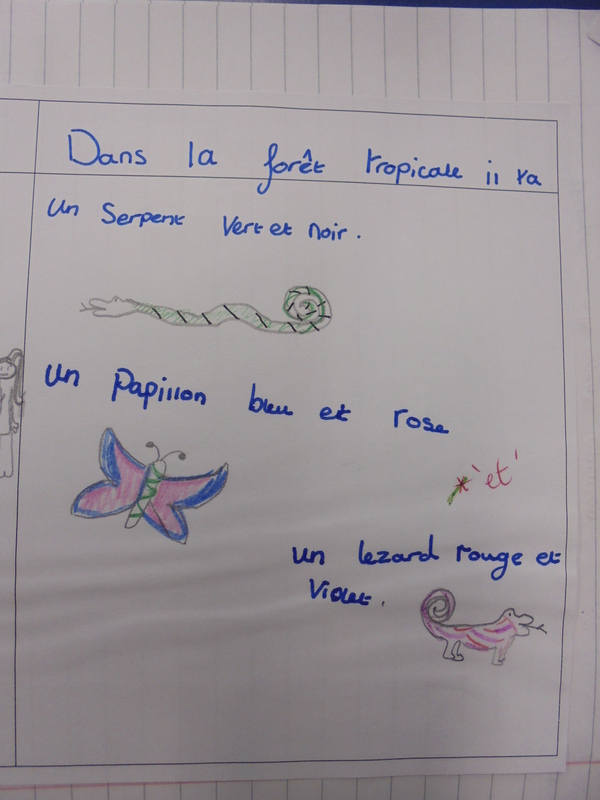 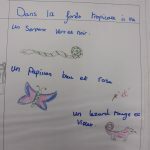 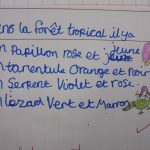 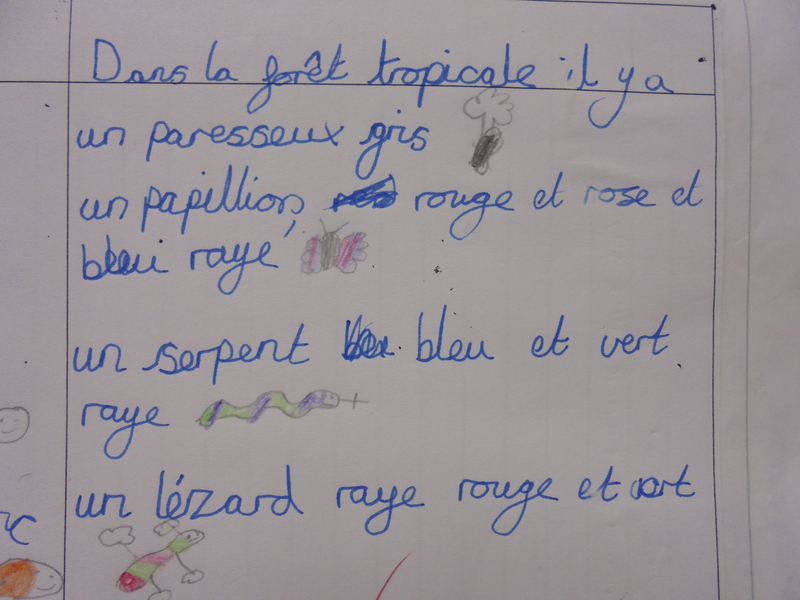 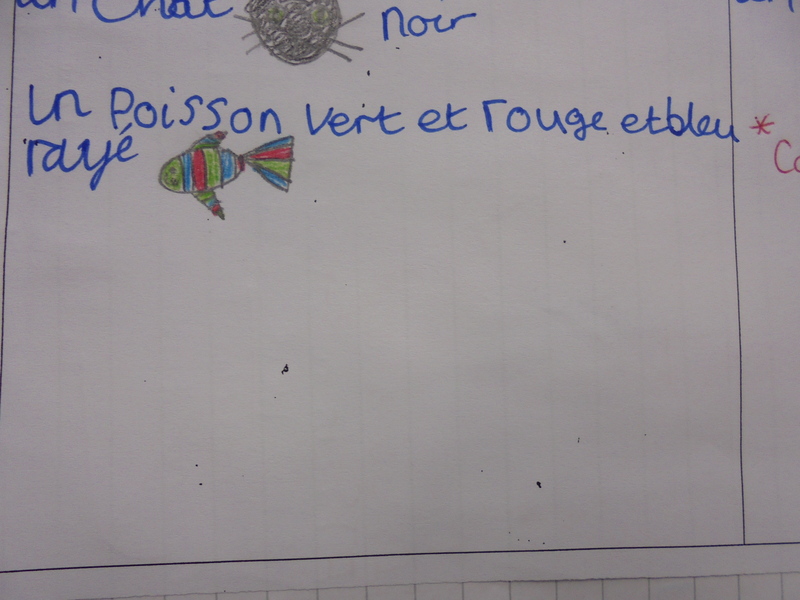 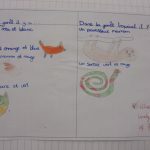 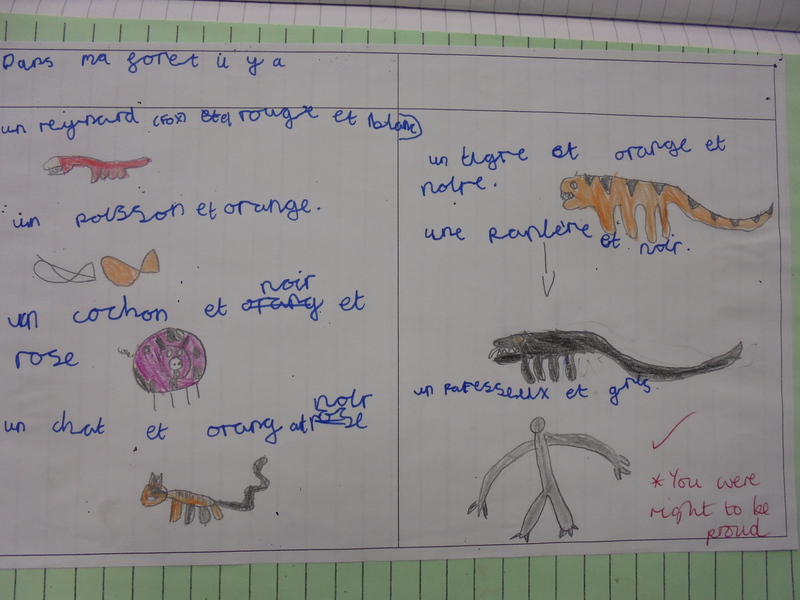 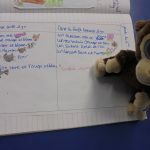 Here is the French vocabulary we have been learning to link in with our Rainforest unit of learning. 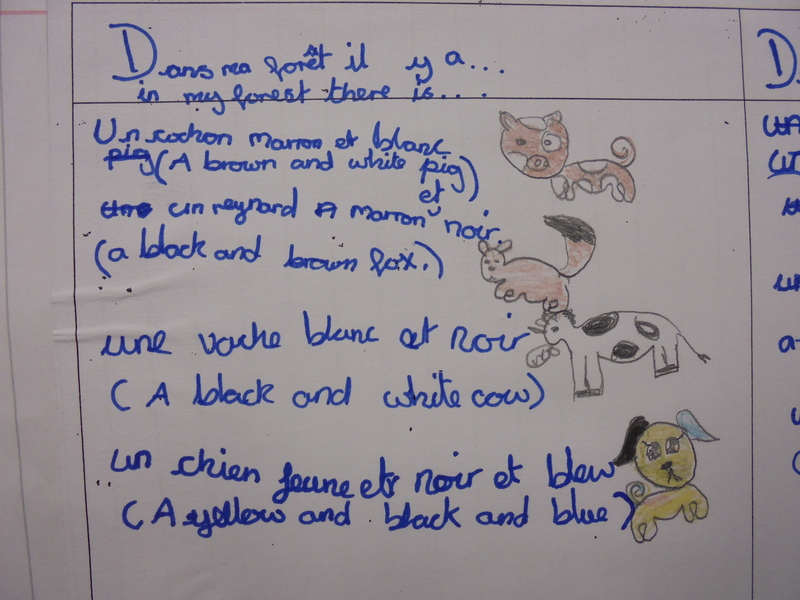 First we learned local forest animals (adding the colours we knew). 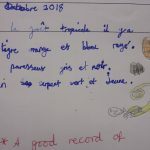 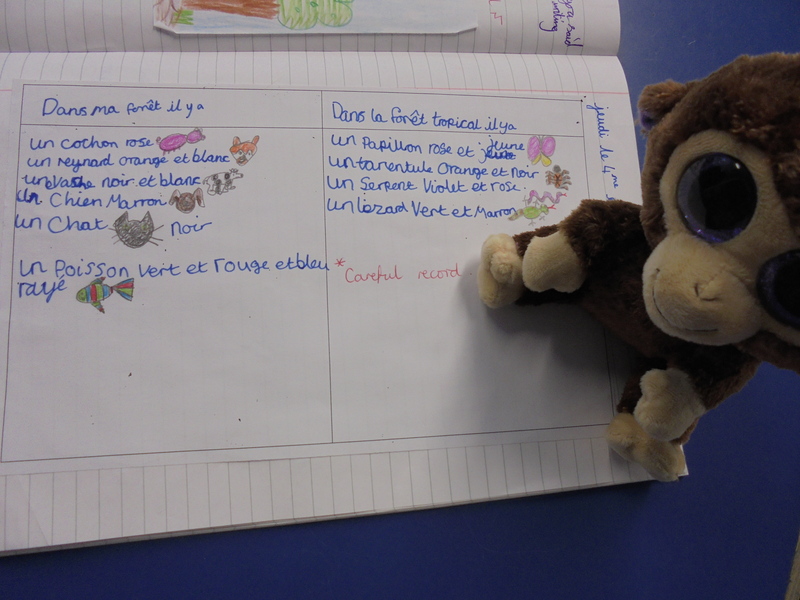 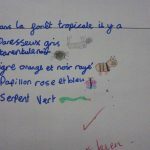 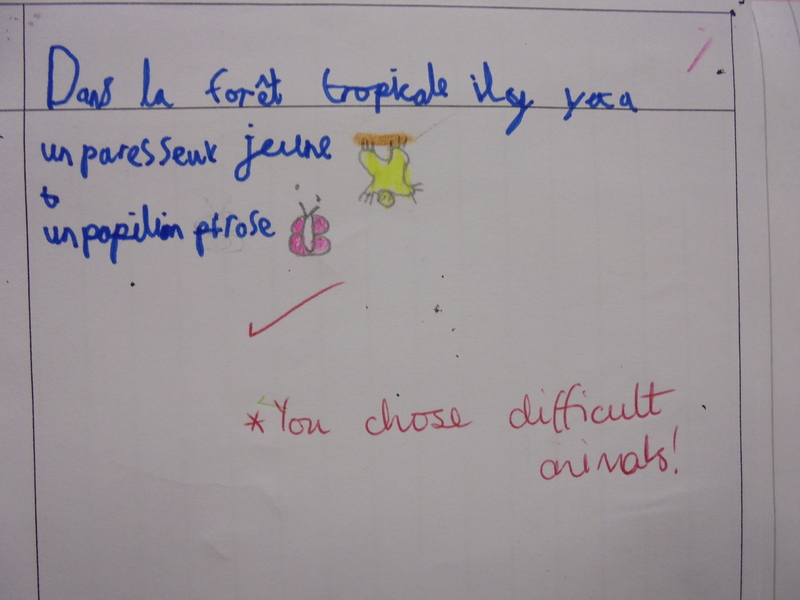 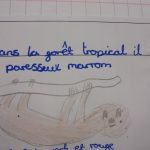 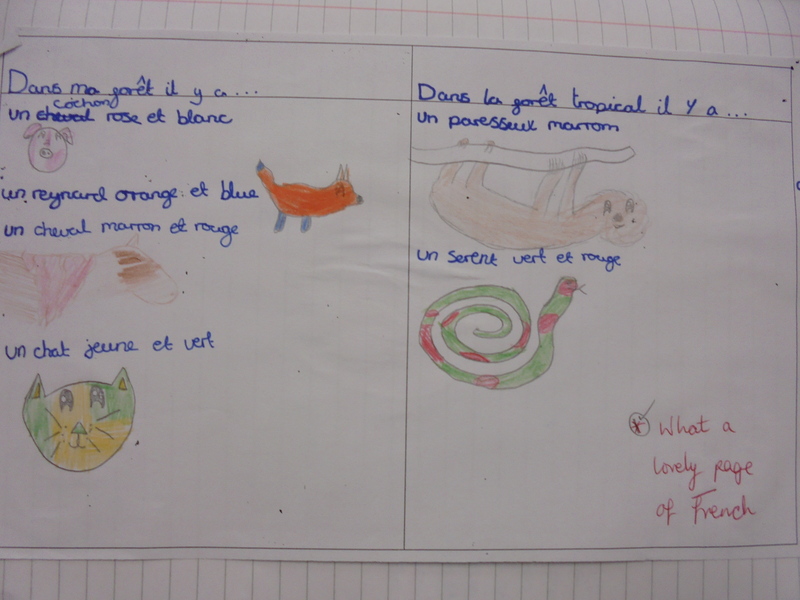 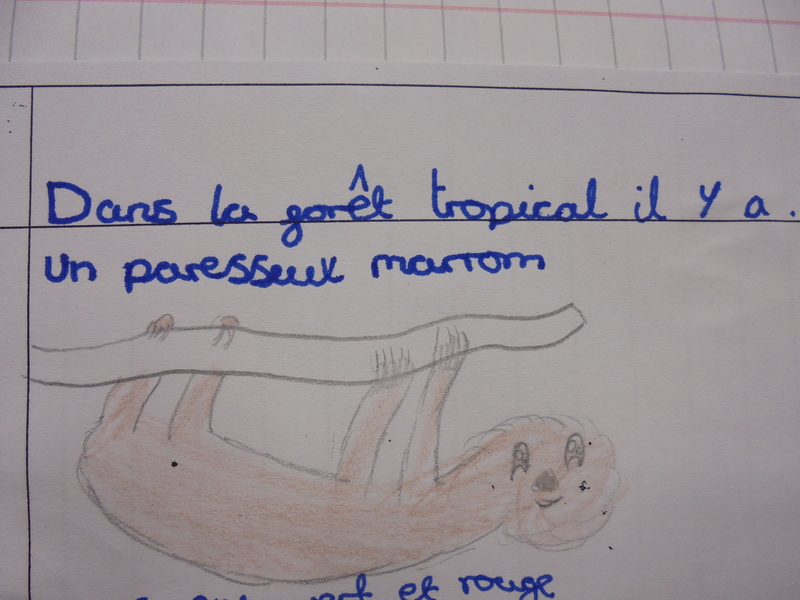 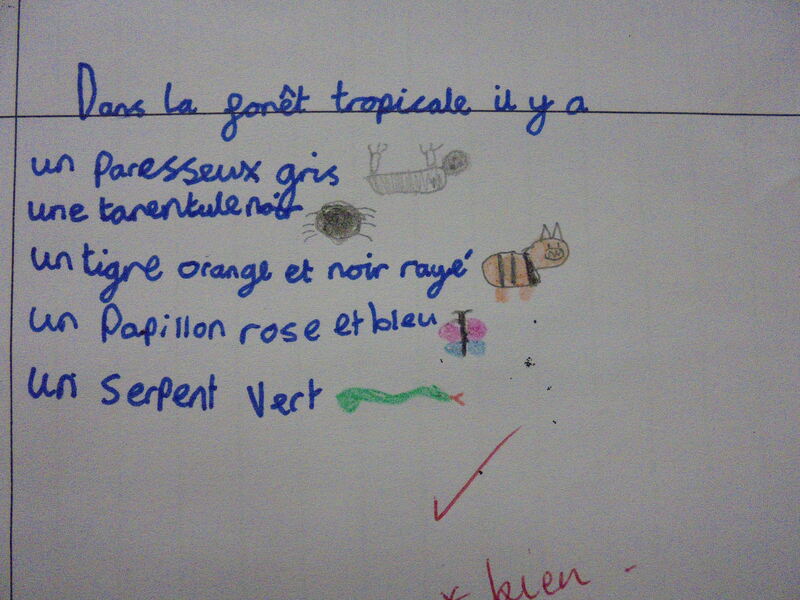 Then we learned some exotic tropical animals – who knew a sloth in French is ‘a lazy one’! 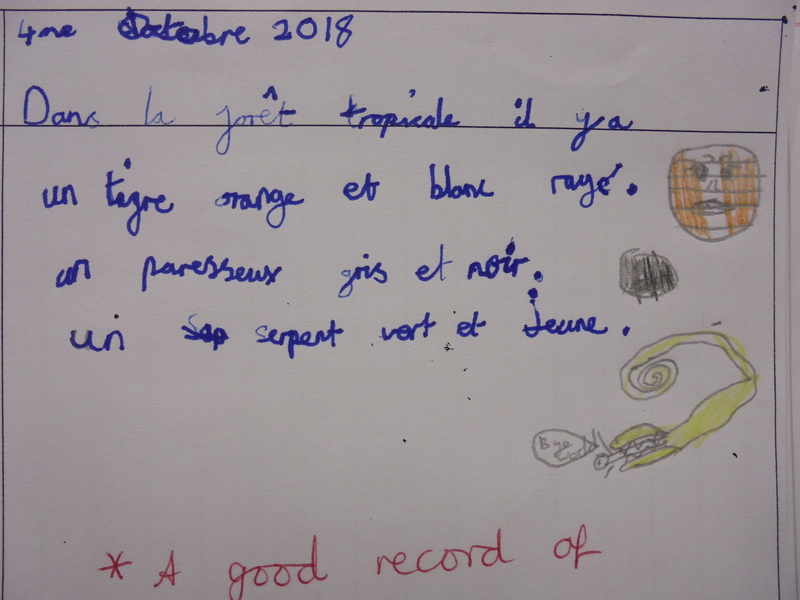 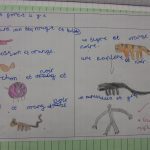 Some people had their own vocabulary to add (purple and raspberry) and we also learned the word for stripy which literally means ‘with rays’.